Medline Antimicrobial Nylex Ii Pillows Are Unsurpassed In Comfort And Durability. Wipeable Nylex Ii Ticking Is An Extremely Soft, Woven Nylon That Is Quieter, More Flexible, And Generates Less Heat Buildup Than Conventional Vinyl Ticking. It’S Also Fluid-Proof, Flame-Retardant, Antimicrobial, Mold And Mildew-Resistant, And Antistatic. 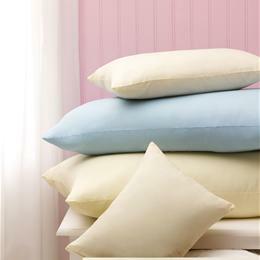 The Nylon Ticking Is Treated To Be Antimicrobial For The Life Of The Pillow. The Nylex Ii Features Medline’S Unique Med-Vent Breathing System That Eliminates The Need For Metal Vents Or Perforated Fabric. This Pillow Does An Outstanding Job Of Retarding Fluid Penetration. Blue, 18" X 24"